In many small and compact mobile applications, the requirements on control tasks are increasing. Cost-optimized and modular mini controllers for mobile use have not been available so far. 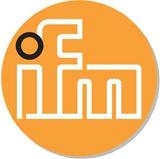 Based on comprehensive market research ifm electronic has developed an appropriate control system. The result: ecomat mobile Basic. ecomat mobile Basic consists of three components which are well-adapted to each other: BasicRelay, BasicController, BasicDisplay. The ecomat mobile Basic control system has a modular design, is easy to install and to operate and is cost-optimised. Besides pure control functions it provides solutions for wiring and protection. In addition, a graphical visualisation module ensures the indication of system messages and simple display instruments. 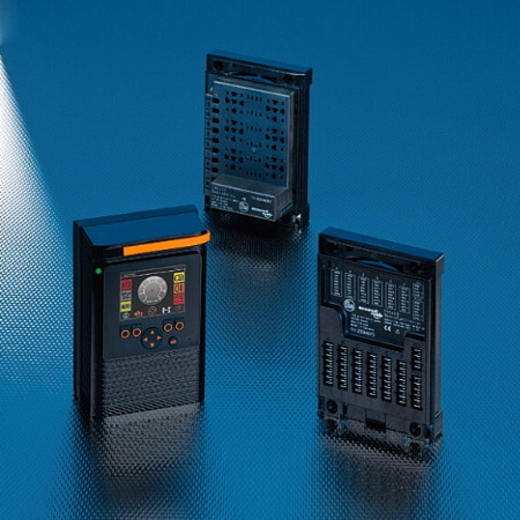 The easily expandable relay and safety module finally brings order to your wiring. Thus, it becomes a small, decentralised "control room" for easy applications. Easy installation allows the use of the module exactly where it is needed. The BasicRelay is ready for connection and can be used without any external terminals. Due to an increase of the protection rating through a cover and a pluggable cable seal, the BasicRelay can now also be used in areas that are exposed to splashing water. The BasicRelay features locations for automotive ISO relays. The additional 2,8 mm spring contacts allow the use of solid state and logic relays with diagnostic capability. In order to protect the individual load circuits there are ten locations for automotive fuses available. By a common power rail and additional star points the load currents in the module can be distributed. The integrated, confusion-free screw terminals allow for a connection to the battery cables. This means that no further external terminals are needed for the wiring. The wiring of the relay locations and fuse contacts is done on the spot with easy-to-install cable links or a ready-to-use cable tree. The compact, flexible and inexpensive mini controller replaces the conventional relay logic and also demanding and complex process controllers. The control electronics integrated in a compact plastic housing provide all the necessary connections for the inputs and outputs, communication and programming. The coded connectors for mobile use are easy to handle and available all over the world. The connection of sensors and actuators is carried out without further external wiring. Due to an increase of the protection rating through a cover and a pluggable cable seal the BasicController can also be used in areas that are exposed to splashing water. The integrated 32-bit processor and the electronics are optimally tailored to the application. By means of the application software the inputs and outputs can be configured to adapt to the respective application. A status LED indicates the current operating status of the module. The Codesys software enables a clear and easy creation of the application software for the user. The control module BasicController supports all common Codesys programming languages. For communication and special unit functions simple and clearly structured function libraries are available. The BasicController is equipped with two CAN interfaces to ISO 11898. These interfaces are for example used to exchange data with the connected BasicDisplay, further BasicController modules or the engine controller. The interfaces support the CANopen and the J1939 protocol among others. For programming, the CAN interfaces are used as well. To do so, the unit electronics are directly and conveniently activated via the powerful PC-CAN interface CAN fox. In this way, operating system and application programme can be loaded or parameters changed. The high-resolution colour display and a unique visualisation concept replace the conventional analog display and, in part, the rudimentary operating elements of the machine. Protected by a continuous membrane the modern display, which can even be read in sunlight, provides a resolution of 320 X 240 pixels with an aspect ratio of 4:3 or 420 x 272 pixels with an aspect ratio of 16:9. Graphics can be shown with a colour depth of up to 256 colours. The BasicDisplay has a sealed plastic housing with protection rating IP67. The integrated M12 connector provides all important connections for supply and communication. The display can be easily mounted using a centralized fixing nut, either directly on the operator panel or in the module cover. The integrated 32-bit processor and the electronics tailored to the applications are optimally adapted to the application area. A status LED indicates the current operating status of the display. Stand-alone operation of the BasicDisplay is possible via the integrated watchdog. The Codesys software enables a clear and easy creation of the application software for the user. Function libraries are available for the special functions of the BasicDisplay. The graphic elements are created and animated via the integrated visualisation. The BasicDisplay is fitted with a CAN interface to ISO 11898. These interfaces are for example used to exchange data between the connected controller, the decentralized input / output modules or the engine controller. For this purpose the interface supports the CANopen and the J1939 protocol among others. With the master functionality of the CANopen protocol, networks can be built via decentralized input / output modules.